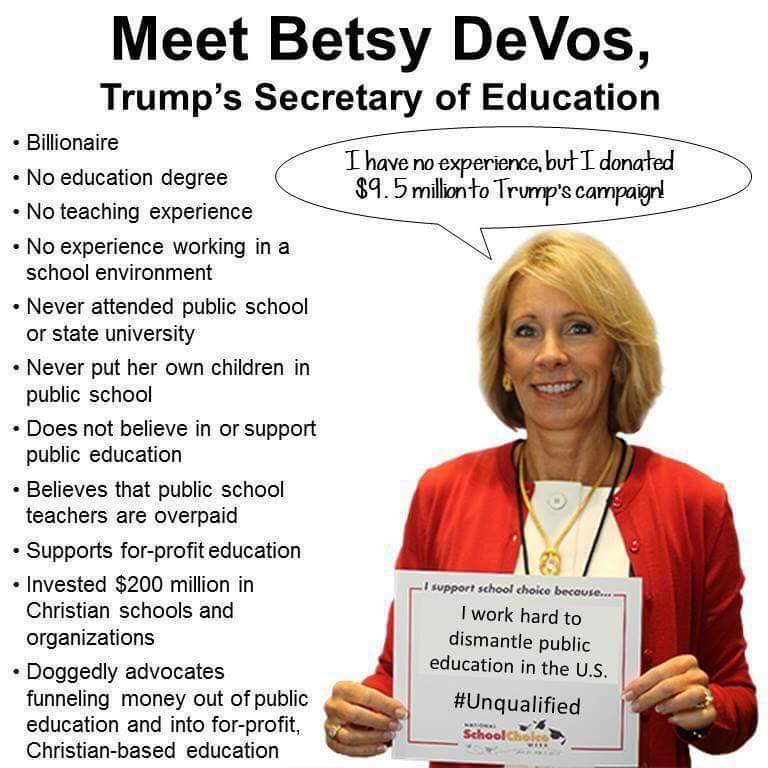 Betsy Devos is a horribly unqualified choice for Education Secretary, who is being offered the position as a return favor for the hundreds of millions of dollars that her family has given to the Republican party. She intends to siphon funds away from public school to line the pockets of her friends in the private sector without holding them accountable for our children’s education. She’s not committed to the Federal law protecting the rights of disabled children. She is terribly ignorant of the workings of the public sector and realities of student debt. The list goes on and on. We only need one more vote against her to prevent her appointment. Phone calls made all the difference in persuading Republican Senators from Alaska and Maine, so please call your representative and compel them to vote against her nomination – especially if your Senator is Republican: we need both parties to fight this. This is not a partisan issue, this is about quality education for all American children.